A meeting place for everyone. Conference facilities and hotels in Nynäshamn! 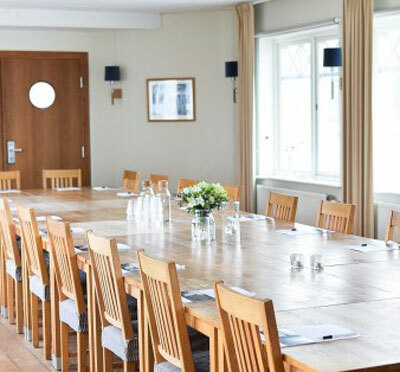 In the archipelago town of Nynäshamn there is a relatively wide range of options to choose from when booking a conference. The city itself is interesting, the drive from Stockholm takes less than an hour and means total change of environment. Many of the facilities are so that you get the true archipelago feeling with a clear view of the sea belt, while at the same time being close to a society with a wide range of shops, services and communications. The commuter train station is a few meters from the cozy guest harbor. At a height above just a few hundred meters from the port is the city center. In the harbor there are a couple of nice restaurants and smaller shops ranging from fresh fish to clothes and decor. The conference facilities are of different types. If you are looking for an exclusive facility in direct contact with the ocean, Nynäs Havsbad is the obvious option. For the smaller group who needs a "hide away", where you are all together and with personal care, Thinking Cottage is optimal. 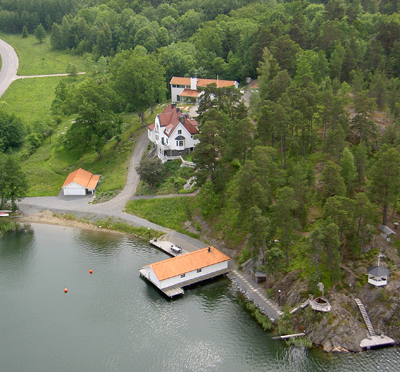 Affordable budget hotels are homely Nynäsgården, located in the upper part of the village, as well as the Skärgårdshotellet located in the port area. Just over 10 nautical miles northwest of Nynäshamn is Island of Utö with beautiful Utö Värdshus where accommodation is also offered in modern multi-bed cabins. Severla boat ferrys traffic Utö, on a scheduled Daily basis. Book the conference in Nynäshamn through Kontur Konferens!